Abstract: The Theodora Cohen Family Papers contains clippings, correspondence, manuscripts, personal effects, trial documents, and other materials related to Theodora Cohen, one of the Syracuse University students killed in the bombing of Pan Am Flight 103, and her parents, Daniel and Susan Cohen. 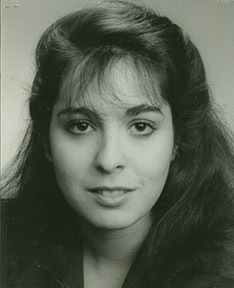 Theodora “Theo” Cohen was a junior at Syracuse University, studying Drama in the College of Visual and Performing Arts. Theo studied abroad during fall semester 1988 at the London Academy of Music and Drama (LAMBDA) through the university’s Division of International Program (DIPA). She took every theater course she could and went to the theater twice a week in London. Theo also traveled to Greece, Scotland, the Netherlands, and France. She had plans with Miriam Wolfe, another Pan Am 103 victim, and other Syracuse University friends, to start an alternative theater group when they returned to campus. Theo was born on September 10, 1968 and was the only child of Daniel and Susan Cohen of Port Jervis, New York. She was passionate about acting and singing. Theo’s acting career began in the fourth grade, when she received the lead role in a class play. After discovering her life’s calling, she dedicated herself to it, acting in every high school, university, and community production available. In high school, Theo performed in productions of Fiddler on the Roof and Gypsy. From her freshman year in high school until 1988, she worked in summer stock at the Mac-Haydn Theatre in Chatham, New York. 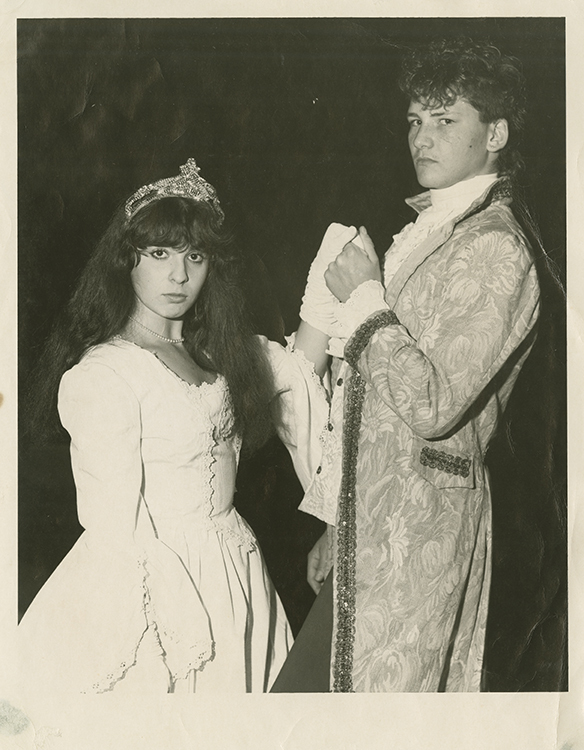 She started as an apprentice at Mac-Haydn Theatre and in summer 1988, she played the leading role in the theater’s production of The Fantasticks. At Syracuse University, she acted in Midsummer Night’s Dream and numerous other plays. Theo’s soprano singing voice and her charismatic acting were only two of her many talents. She was bright and articulate and her parents described her as “loving and mean, logical and hysterical, cynical and enthusiastic.” After Theo’s death, Susan and Daniel united with other families of victims to create the Victims of Pan Am Flight 103, Inc. (VPAF 103, Inc.), an organization devoted to ensuring similar acts of terrorism could never happen again. Both writers, Susan and Daniel Cohen have written extensively about Theo, the Pan Am 103 tragedy, and terrorism. Their works include numerous short articles, as well as a book and contributions to journals. They co-authored Pan Am 103: The Bombing, the Betrayals, and a Bereaved Family’s Search for Justice and both wrote a chapter “Voice: Theo Was on Pan Am 103” for The Trauma of Terrorism: Sharing Knowledge and Shared Care, An International Handbook by Yael Danieli, Danny Brom, and Joe Sills. This book was co-published as the Journal of Aggression, Maltreatment & Trauma, Volume 9, Numbers 1/2 and 3/4 in 2004 and Volume 10, Numbers 1/2 and 3/4 in 2005. The Theodora Cohen Family Papers contains information and materials related to Theodora “Theo” Cohen, one of 35 Syracuse University students killed in the bombing of Pan Am Flight 103 while studying abroad through the university’s Division of International Programs Abroad (DIPA). This collection includes series for Audiovisual Materials, Clippings, Correspondence, Manuscripts, Memorials, Personal Effects, Photographs, and Subject Files. Audiovisual Materials includes cassette tapes and CD-ROMs of Theo singing and performing, as well as a remembrance compilation for a memorial service honoring her. Clippings include articles from newspapers and magazines that the Cohen family collected regarding the Pan Am 103 bombing, Libya, other terrorist attacks, Theo Cohen, other Pan Am 103 victims, Lockerbie, and memorials. Correspondence is divided into two subseries. The first subseries includes condolences and other letters to and from Susan and Daniel Cohen. It also includes correspondence with President George H.W. Bush and President Bill Clinton, U.S. and international government figures, reporters, and media executives. The second subseries includes the correspondence of Others (Non-Cohen), regarding the Pan Am Flight 103/Lockerbie Air Disaster. It includes correspondence of Presidents, U.S. government officials, and reporters and media executives. Manuscripts is divided into two subseries. The first subseries contains writings by Susan and Daniel Cohen, such as various draft manuscript versions of their co-authored book Pan Am 103: The Bombing, the Betrayals, and a Bereaved Family’s Search for Justice. Also included are longer written drafts of articles and responses to articles related to the Pan Am 103 bombing. The second subseries contains partial and complete writings by Others related to Pan Am Flight 103, the Lockerbie trial, and terrorism. Memorials contains materials related to services and memorials in Port Jervis, New York; Lockerbie, Scotland; Syracuse University, and Arlington National Cemetery honoring Theo Cohen and the other victims of the Pan Am 103 tragedy. Personal Effects is divided into two subseries. The first subseries contains materials related to Theodora Cohen and includes playbills, clippings, and photographs of productions she acted in during high school and college, as well as her voter registration card. It also includes letters about scholarship awards, promotional information and documents about DIPA, and posthumous honors in her memory, such as a New York State Legislative Resolution and a Syracuse University Certificate of Student Achievement. The second subseries contains materials owned by or related to Susan and Daniel Cohen. Their Lockerbie Trial Cards, notes regarding Pan Am Flight 103/Lockerbie Air Disaster, Pan Am 103 pins, and Susan’s planner are included. Information regarding the Estate of Theodora Cohen is also included. Photographs is divided into two subseries. 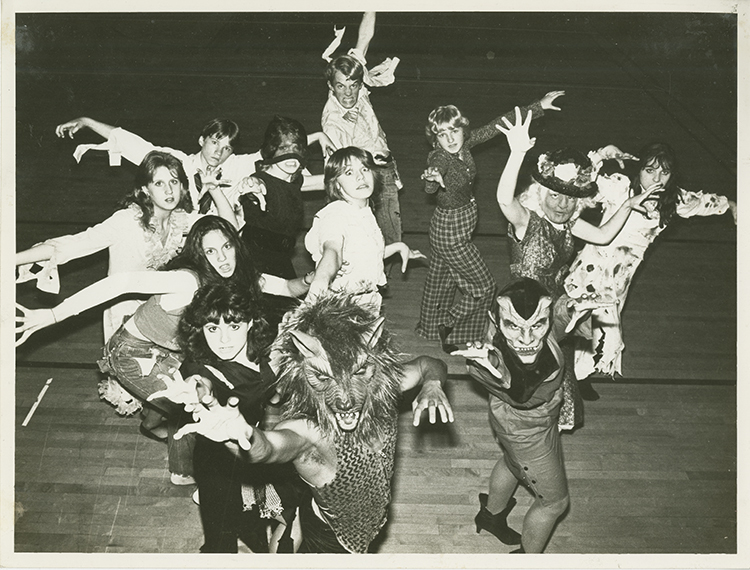 The first subseries, Theodora Cohen, includes two photographs of Theo Cohen and Lauren Henry in costume for Halloween. The second subseries, Other, includes photographs of the Peace Time Memorial Plaque at Our Lady of Fatima Assembly, which honors Americans who died in terrorist attacks between 1983 and 1988. Subject Files is divided into two subseries. The first subseries is Organizations and Individuals, which contains publications, correspondence, information, and promotional materials related to the Pan Am 103 bombing. The second subseries is Government/Trial, which contains trial transcripts, government resolutions, correspondence with the law firm Kreindler and Kreindler, as well as statements and petitions delivered during the trial. Some materials in the Theodora Cohen Family Papers are restricted at the donor's request. Folders or boxes containing restricted material are noted in the inventory below. Please contact the archivist for further information regarding access to these materials. Pan Am 103: The Bombing, the Betrayals, and a Bereaved Family's Search for Justice. The Theodora Cohen Family Papers was donated by Daniel and Susan Cohen in several additions, between 2004 and 2014. The Theodora Cohen Family Papers are fully processed and housed in acid-free folders and archival boxes. All series are arranged by subseries and chronologically or alphabetically when applicable. Correspondence is arranged by person, subject, or organization when significant. Clippings are organized by subject when significant. RESTRICTED: The contents of this box are restricted for use and may not be viewed, cited, or reproduced.